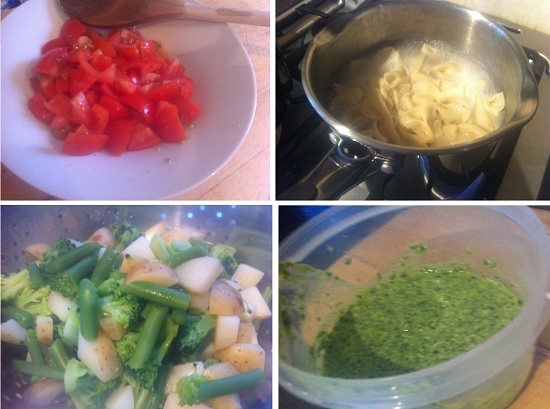 Emily's Recipes and Reviews | UK Food Blog | Leicestershire : homemade vegan pasta. wow well this was yummy... and i have to give credit to my friend amelia for her amazing vegan pesto, veg and potato pasta recipe :) i've done homemade pasta before since my lovely granny bought me a pasta machine for christmas. however, this was my first go at "vegan pasta" too which involved using water and olive oil instead of egg. 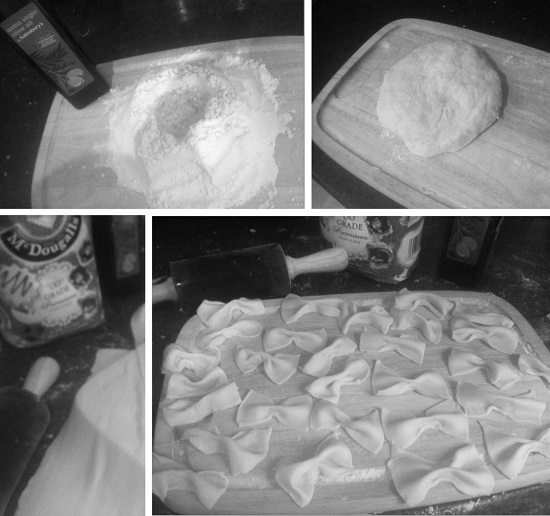 so i used the same method as seen here in my first attempt at homemade pasta. in the original recipe, the general rule is 100g "00" grade flour to one egg which makes around one portion. for the vegan versio, i used around 80ml water, a splash of olive oil and pinch of salt. it actually made it easier in some ways as if the liquid escaped i could obviously just replace with water. though with an egg this is more of a pain. in the end i did adding a little more water but i have to admit it was trial and error. meanwhile, amelia worked her magic on putting together all the potatoes, green beans, broccoli and lastly it was tossed together with her homemade vegan pesto. i seriously need to get the recipe for this but am told it has basil, pine nuts, lots of garlic and a squeeze of lemon. to finish, sprinkle with pine nuts and black pepper. we made around four portions worth to be honest and still went back for more. i'm (almost) starting to think... who needs cheese anyway? This is my absolute favoriteI will be making this asap! It looks amazing.